Regina Vacuum sells quality vacuum cleaners and provides expert repair service. 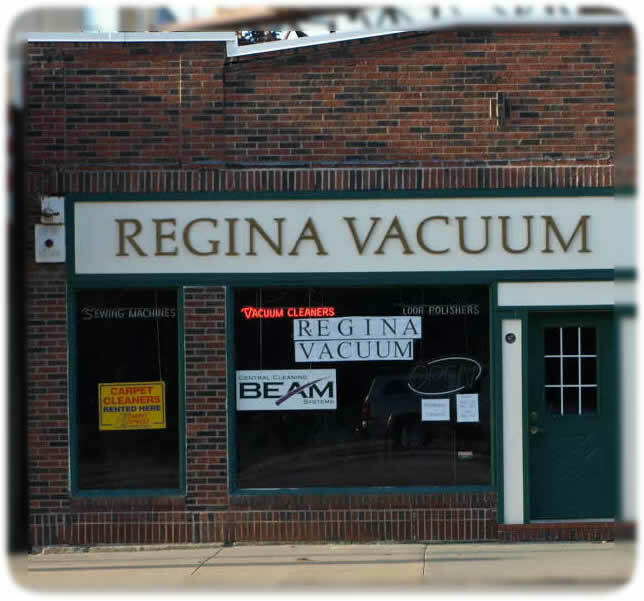 Regina Vacuum is a family owned business. John Reiter is the third generation to run Regina Vacuum in St.Paul, MN. We have been in the independent vacuum industry for nearly 80 years. Have Allergies? We have Micro & HEPA filtration vacuums. Have Pets? We have vacuums that can handle the pet hair. A vacuum cleaner is very important when you consider the cost of flooring. Which one should you buy? Some vacuums will clean certain types of carpet better than others. Choosing the right vacuum is important in keeping your home clean and caring for your flooring. We can help you make the right decision. Call us or stop in and we can help you choose the right vacuum for you. We service your vacuum every year for the length of the warranty. Included in service is a new paper bag and belt. Clean and lubricate agitator bearings, blow out motor and bag compartment. Wipe off machine. Must be brought in within 1 month of anniversary date.